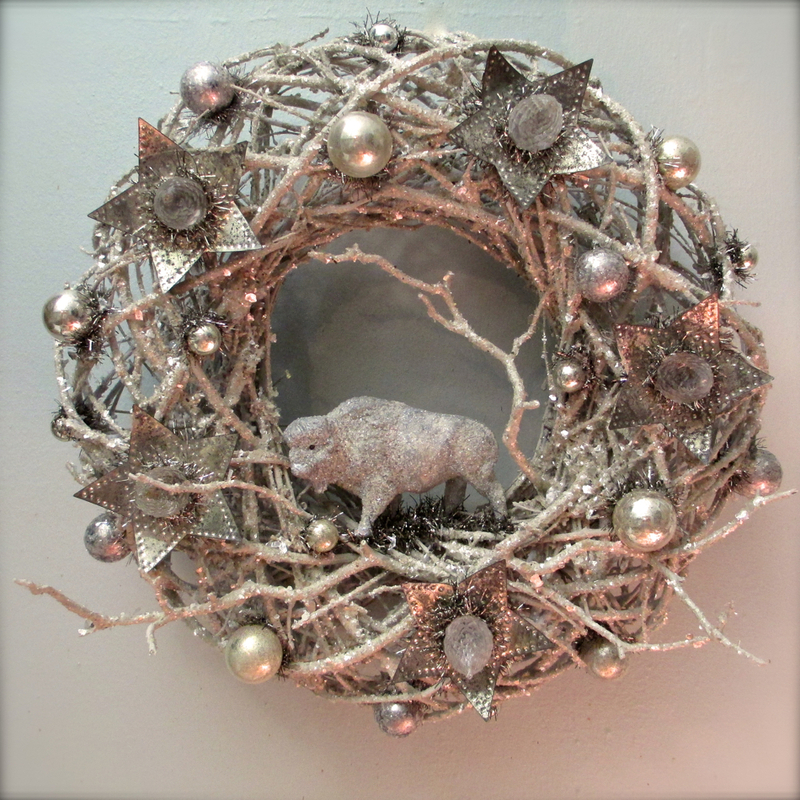 It has been a banner year for my vintage ornament wreaths, but I do make several other styles. This is some of a group that was made for a stunning NYC home store, NEST INTERIORS LTD., located in Chelsea at 21st and 9th Ave. 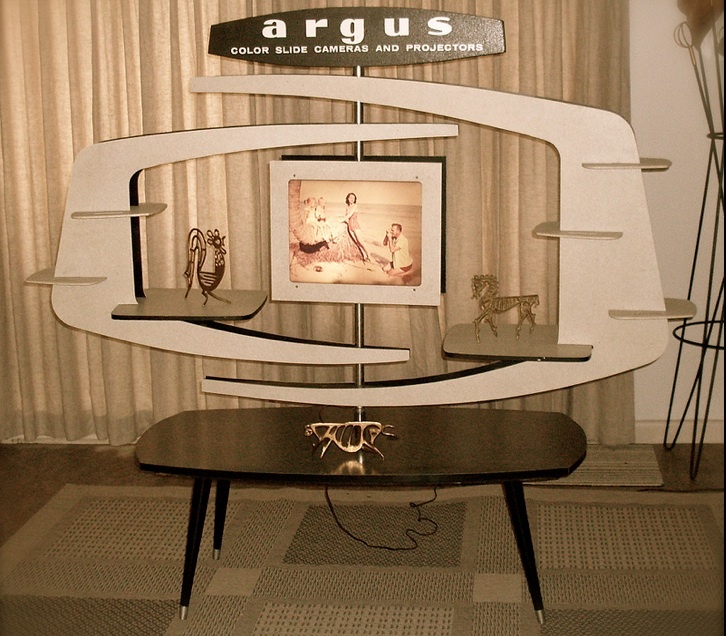 The store features modern design, vintage furnishings, original art, etc. with a very carefully controlled color palette. It is a perfect backdrop for these driftwood-like vine wreaths embellished with antique faded “ghost ornaments”, circa 1900 bisque doll heads, old composition toys, vintage tinsel and lots of sparkling mica. They are a combination of holiday-sparkly and eerie-elegance. The wreaths are very reminiscent of some of my bell jars which have also been sold on consignment in the store. 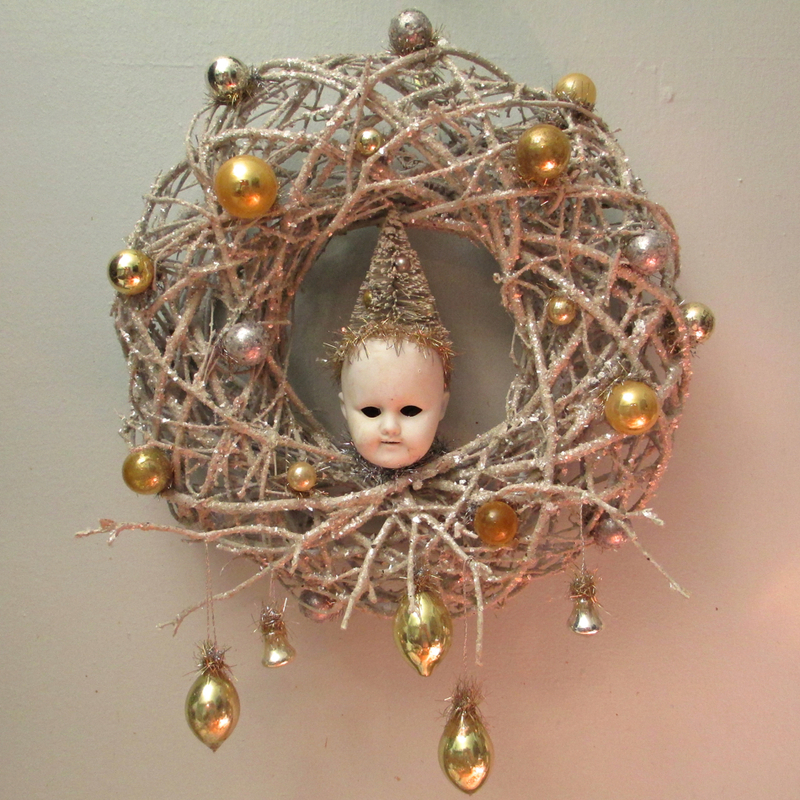 Elf Head Wreath with antique porcelain doll head, bottlebrush tree and vintage ornaments. Bison Wreath with vintage composition toy, excavated pinecone light bulbs circa 1920, and 1930’s metal light reflectors. 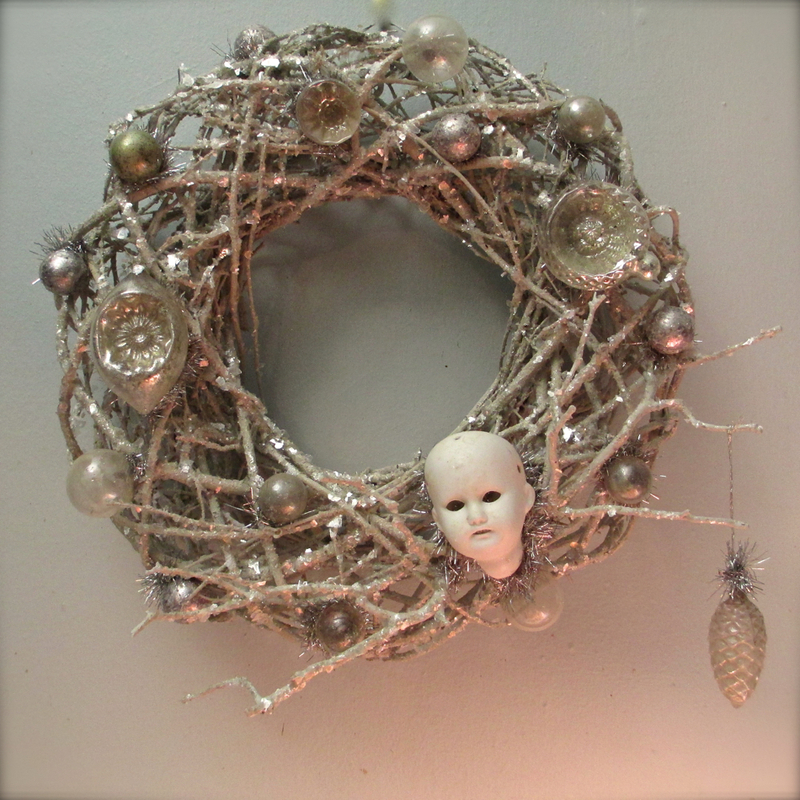 Doll Head and Pinecone Wreath with 1920’s and 30’s “ghost ornaments” and antique German doll head. 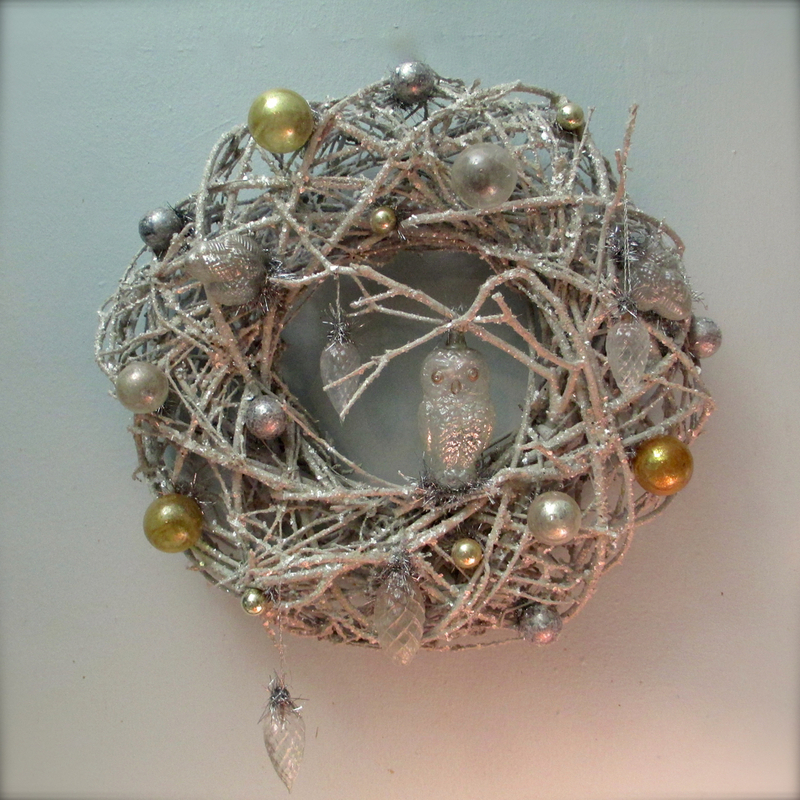 Owl Wreath with antique ornaments, a 1920’s “ghost owl” filled with a wisp of vintage angel hair, and excavated pinecone shaped glass bulbs. 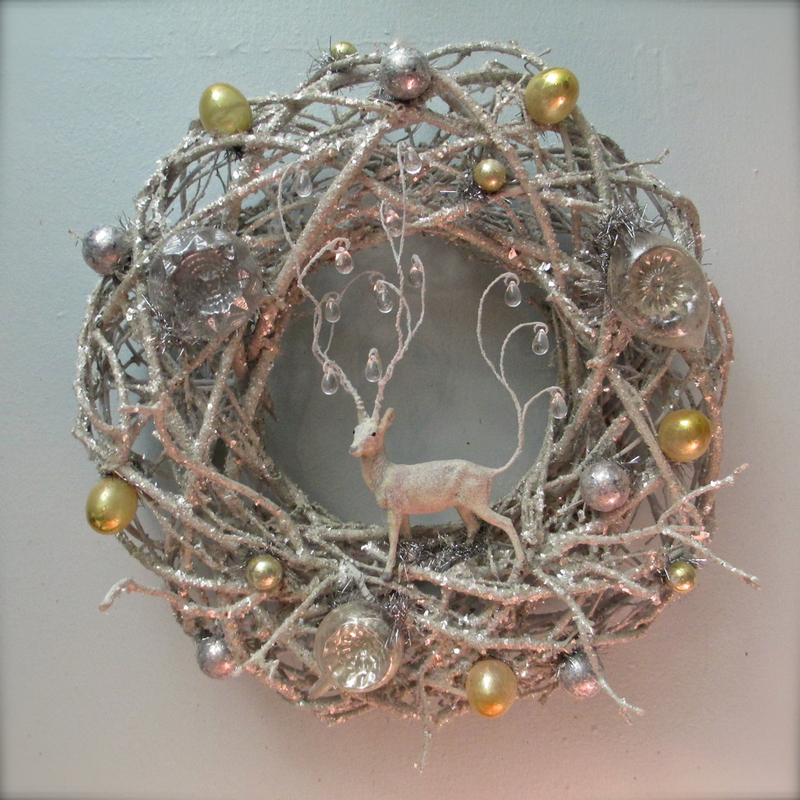 Deer Wreath with vintage composition toy, faded antique ornaments, and lots of magical mica!